These ties work perfectly, especially for tying up plastic food packaging. I use these all the time to wrap my earplug cord. I do not like it when our many USB cords for phones, tablets, etc. get all tangled in the cookie jar in which we keep them. These "laces" hold each one separately when coiled . Also the cords do not get kinks in them when stored this way. My husband and I each have different color laces so it is easy to identify our cords. So easy to use, holds perfectly and can b flattened out when not in use. 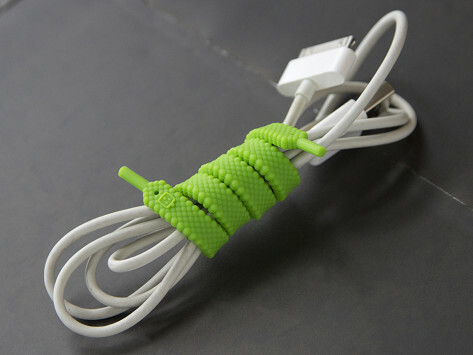 These silicone laces keep cords neat and orderly and they do it with ease and competence. I'll buy more when I need them. These are perfect for a variety of appliances. Nice way to keep cords organized. Very nice - just the right length for cord wrapping. I used these in December for keeping cords untangled. It worked perfectly.